You are here: Home » Life Issues & Bioethics » Contraception & Abortion » Human Rights or Human Wrongs? This past year has witnessed an escalation in the redefining of human rights. For example, the United Nations Population Fund (UNFPA) stated in its Annual Report that contraception access is a “universal human right.” Implying that the use of contraception improves the overall health and financial status of women, the UN report fails to point out the deleterious effects that such steroidal pills have on women, causing everything from blood clots to death. In addition, as is always the case, the UNFPA report avoids the fact that the pill can kill a human being during his first week of life. Thus the court redefines when a human being’s life begins and dismisses from the equation all human beings in existence prior to implantation. In other words, sexually and asexually created individuals from the first moment of their lives until they implant in their mothers’ wombs do not exist! This twisted logic begs the obvious question: Human rights for whom? Or to put it another way, are human beings defined in or out of existence based on the whims of other humans? Such twisted statements, evil to the core, invite further redefinitions of human rights, not to mention the human being himself. This manipulation of language is leading mankind down a treacherous path. It is no longer a stretch of the imagination to go from defining contraception and in vitro fertilization as human rights to claiming that the emerging technocratic practices of the transhumanists will become human rights as well. In other words, “human rights” will become increasingly arbitrary and, in fact, meaningless. If this sounds like science fiction to you, and the stretch from contraception to IVF to transhumanism is difficult to grasp, think about this: What is really natural about contraception? Isn’t it a practice of using something artificial in the body to facilitate “freedom” from pregnancy? 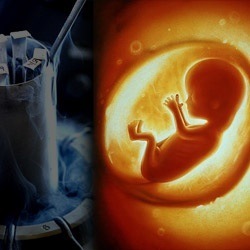 Isn’t in vitro fertilization the unnatural practice of “creating” humans in petri dishes? The answer to both questions is yes! So don’t be shocked when further aberrations make it difficult to discern exactly what natural human rights are and to whom such rights apply.